What is a franchise? A lot of times, we may have asked ourselves that question. If you want your question answered or learn more about what a franchise is and what the term means in the business world, read on. “What is a franchise?” A lot of times, we may have asked ourselves that question. 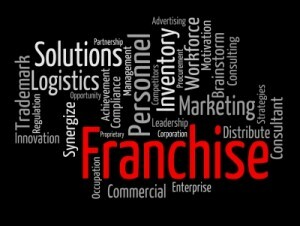 If you want your question answered or learn more about what a franchise is and what the term means in the business world, read on. Definition: What is a franchise? Various business groups answered the question, “What is a franchise?” in their respective websites. According to the International Franchise Association, it is a method of distributing goods and services through a licensing relationship. On the other hand, Franchising.com states that franchising is a network of interdependent business relations that allows a number of people to share a brand, method of business, and marketing distribution. Investopedia defines a franchise as a type of license that a franchisee acquires to allow him access to a business’s proprietary knowledge, processes and trademarks in order to allow the party to sell a product or provide service under a business’s name. The same article says it is a popular method for people to start business. The Canadian Franchise Association describes franchising through the role the parties involved play. It is where the franchisor grants the franchisee certain rights contained in a franchise agreement. In simpler terms: What is a franchise? Morebusiness.com tells us that a franchise is a good way to be in a business. It involves replicating a business format. Yes, a franchisor has a business but the same source also mentions “ With franchising, you are in a business for yourself but not yourself.” Business Opportunities.biz explains that a franchise is a right to allow you to use someone else’s business. For a fee, you are allowed to operate the same business concepts but you are expected to maintain the business process model. 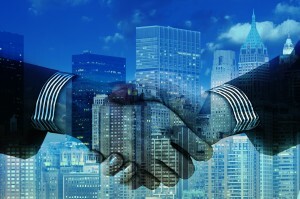 It will seal the relationship between a franchisor and a franchisee via a franchise agreement. What is a franchise, then? It seals the relationship between a franchisor and a franchisee via a franchise agreement. The business or the brand expands which is beneficial for the franchisor because the business model he has created grows. In the same way, the franchisee has his own business too. Although How Stuff Works says, with a franchise, in a way you are not your own boss. “You don’t really own the business, but you own the assets you’ve purchased in order to establish the business.” You will still have to work under a structured business model that will be provided by the franchisor. This would include processes, training suppliers, marketing strategies and day to day protocol. Houston Chronicle published that the Federal Trade Commission recommends to do research first before getting into a franchise business. There are a lot of things that a prospective franchise owner has to consider. You need to have a good background on the franchisor and the business model. You need to know what’s in demand. And you need to be able to examine the Franchise Agreement before affixing your signature on the dotted line. Considering an auto detailing business franchise? Check out the DetailXperts Franchise opportunity. You will definitely not think twice about this great business journey with the auto detailing experts.